When you are trying to choose the best fishing kayak for you, your skill level will be a big part of your decision. If you’re a novice, then you should first start out fishing on calm water using a model that’s short and wide with a high degree of initial stability. The model should also be very maneuverable, which will help you to feel safer and more confident the first time you’re out on the water. If you’re already a skilled kayak angler, then you should choose a slimmer, longer model with less maneuverability and initial stability. This will be in exchange for a higher degree of secondary stability and faster speed. Where you want to fish will also play a significant role in your choice. As an example, for protected inshore waters and still waters, you can use any kayak types, but for moving water, it is best to use a recreational model due to their moderate degree of rocker. With that said, let’s take a look at three kayak models from different brands that we think might catch your attention due to their quality and useful features. The Bali SS by Sun Dolphin is a one-person model that’s crafted with a UV-stabilized Fortiflex high-density polyethylene material. It is available in a variety of colors including orange, lime, red blue, ocean, and pink. It comes in at a size of 120 x 13 x 30 inches and an approximate weight of 44 pounds, which is light enough for easy transport and handling. To add more, a handle is attached to allow you to drag the unit to storage or into the water easily. 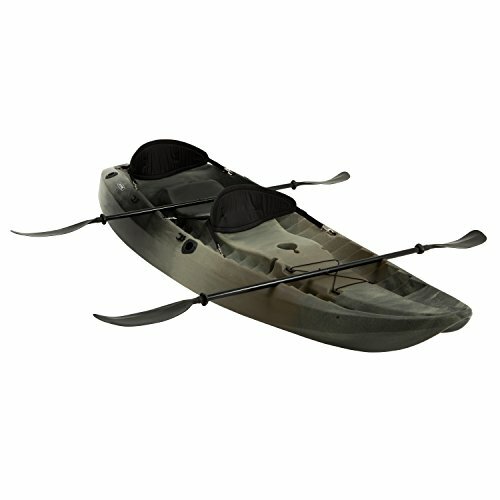 Although the kayak has a lightweight design, it has a maximum weight capacity of 395 pounds. Likewise, there is a P.A.C (Portable Accessory Carrier) included that can be worn as a backpack or towed behind the kayak for extra storage. The Sevylor Coleman Colorado kayak seats up to two people and is made from an eighteen gauge PVC for added durability and stability. It also has an Airtight System, which guarantees that the kayak will not leak, while the multiple air chambers allow the kayak to stay afloat in the unlikely event of a puncture. This inflatable model is easy to store and transport and features a weight limit of 470 pounds. It comes with an 840D nylon cover for added protection. Additionally, hands-free fishing is possible since Berkley Quick-Set rod holders are pre-installed on the sides. What is more interesting is that trolling motors can be added without any issues, giving you the opportunity to upgrade the model for longer fishing activities. Similarly, inflating the product through its valve takes about ten minutes or less depending on the type of pump that you would use. Not overly stable in windy conditions. The Lifetime Tandem Fishing Kayak can easily seat up to three anglers or a maximum weight of 500 pounds and features a six-inch, lockable, watertight storage for a long day out on the water. It also comes with adjustable footrests, two paddles, adjustable paddle clips, and three fishing pole holders. The hull’s innovative design allows anglers to easily track and navigate the waters, while the adjustable footrests are designed to accommodate anglers of different sizes and heights, while the backrests are designed to provide improved comfort during your adventure. Seats act more as backrests; make long trips rather uncomfortable. 1. What’s better, a short or long kayak? Shorter kayaks provide greater stability and can be more comfortable for longer trips due to space allocation. On the contrary, longer kayaks move significantly easier, making them perfect if you need to travel between multiple fishing spots over longer distances. 2. Do I choose a sit-in or a sit-on model? When it comes to sit-in models versus sit-on models, there’s really no clear-cut answer. Both types offer distinct advantages but a sit-on model is the most popular type on the market, and a vast majority of anglers of all skill levels use them. That is because sit-in models are able to handle rough waters better and are generally faster and also provide some degree of protection against rain and wind. Nonetheless, choosing between the two is really a combination of personal preference as well as the intended use of the kayak. Sit-on-tops are primarily recreational and are often used in lakes and easy-flowing rivers whereas sit-ins are typically used for touring as they track and move faster. Most people fishing with kayaks will choose sit-on-tops for the freedom of movement and large open cargo areas as sit-ins are often very enclosed with lockable compartments. 3. 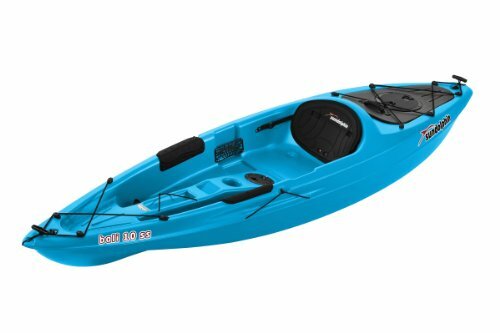 How can I determine the kayak’s stability? When it comes to kayak stability, most amateurs will choose a kayak that features a high degree of initial stability, while the experienced angler usually prefers a high degree of secondary stability. Kayaks with a high degree of initial stability usually have a wide beam, while secondary models utilize a narrow beam. 4. 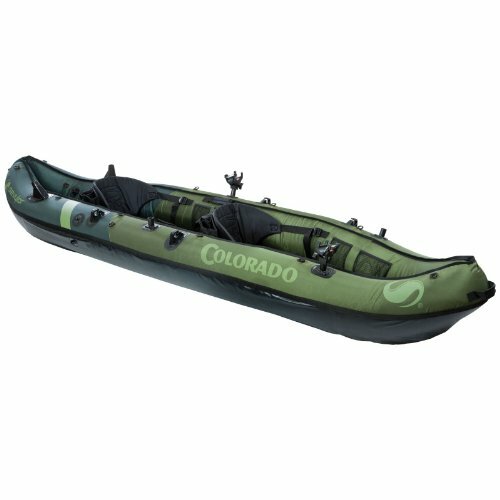 Is it more practical to buy a kayak that has a lot of accessories? Many models of kayaks come with accessories that are designed for fishing including bait wells, cooler wells, paddle parks, rod racks, and anchor trolleys, making them a popular choice for anglers. Keep in mind though that these amenities can be added to any type of kayak with little work. So don’t be fooled into thinking that you have to purchase the more expensive model with all the bells and whistles. If you do the work of adding these extras yourself, you’ll be in control of the kind of accessories added and where they’ll be installed. This will allow you to customize your kayak in a way that suits your needs. That being said, this boils down to your personal preference. Choosing a kayak is a task that requires a lot of thought and research since it will ensure your safety as well as the people who will be with you. When it comes to durability and stability, the three products we reviewed are some of the best. For short, recreational and practice fishing activities, the models from Sun Dolphin and Sevylor will be a perfect choice. The Sun Dolphin will be for solo fishers while the other will be for couples, friends, or if you plan to bring your child. On the other hand, the one from Lifetime would be perfect for solo and group, long-term recreational or competitive fishing activities.